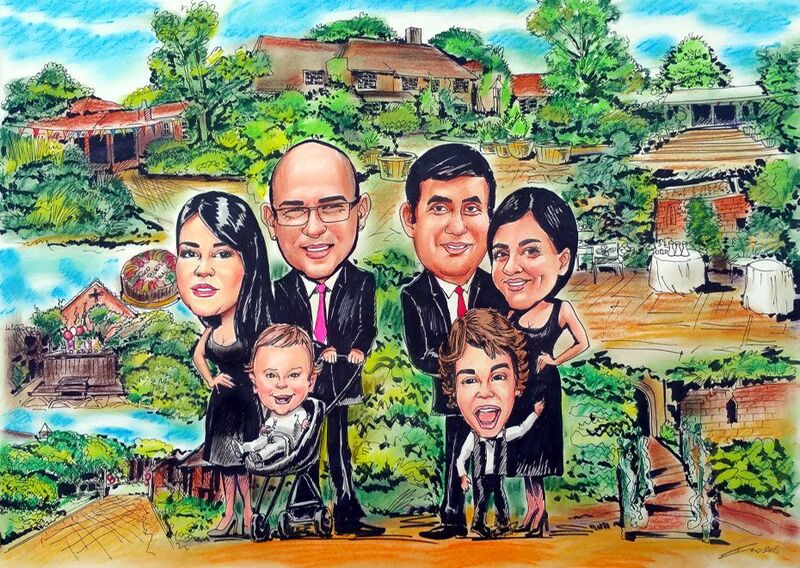 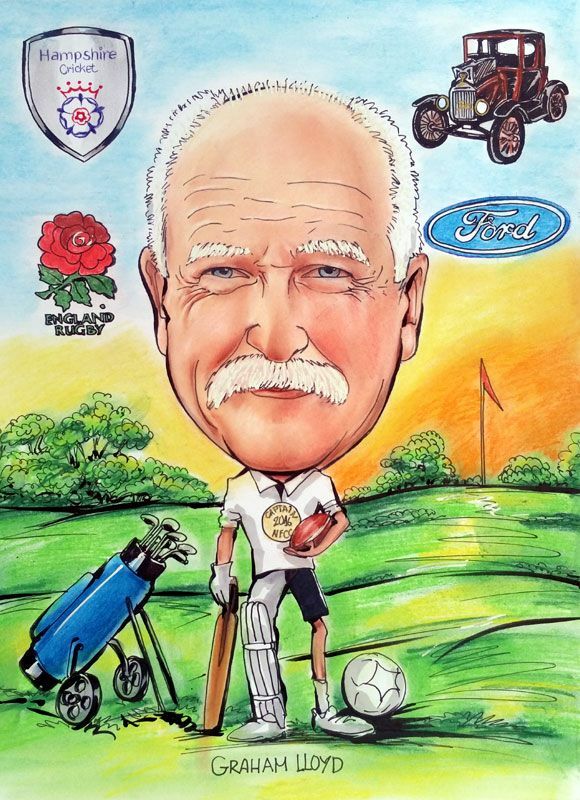 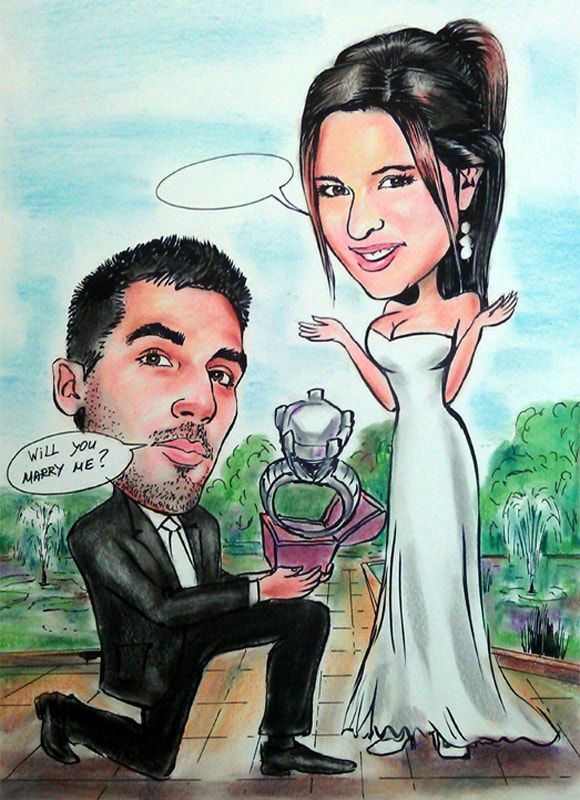 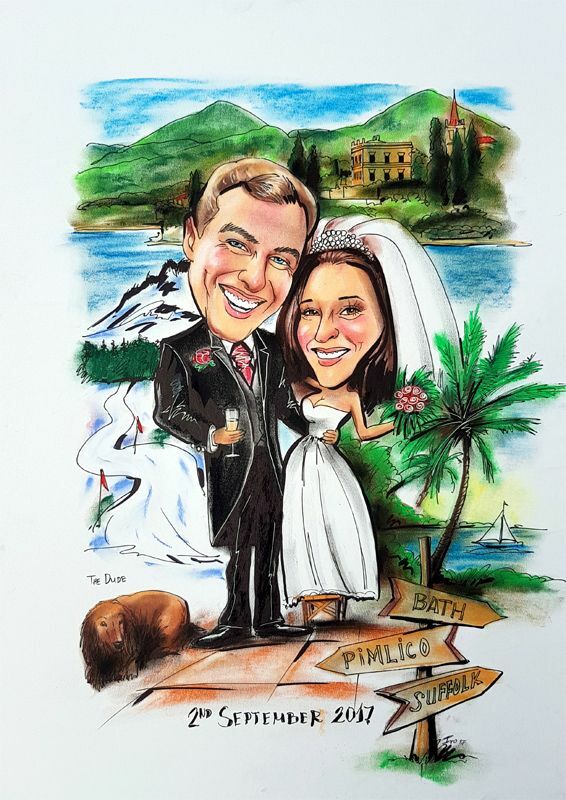 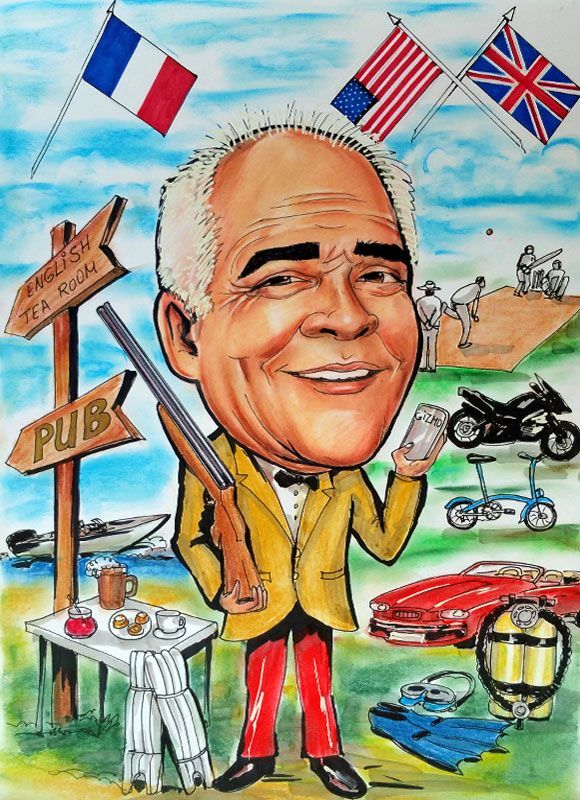 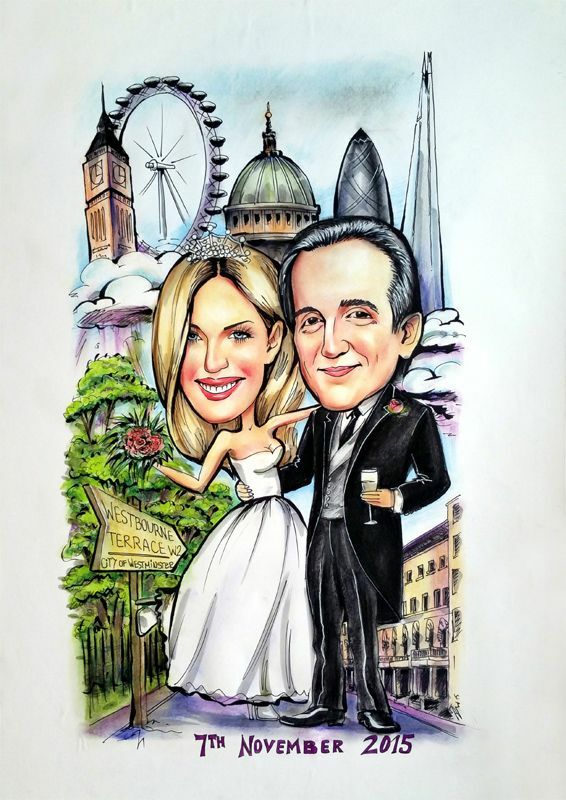 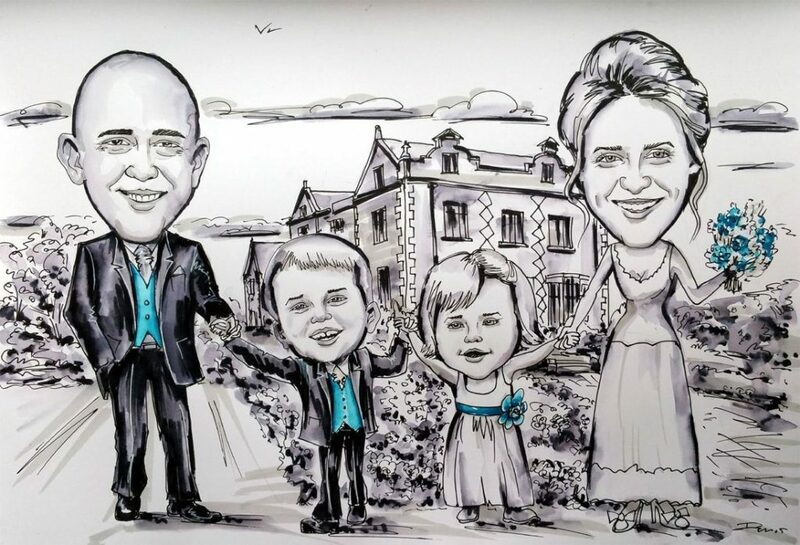 Wedding caricatures from photo, invitations, anniversaries, birthday celebrations or perhaps a retirement. 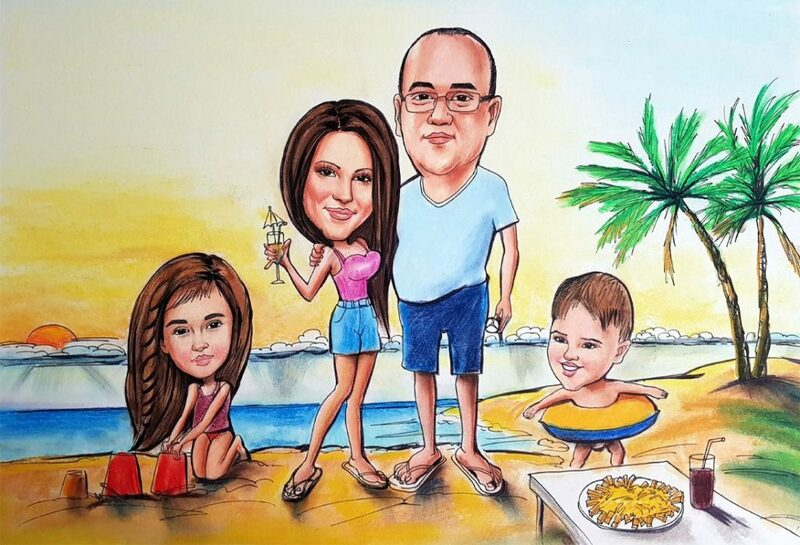 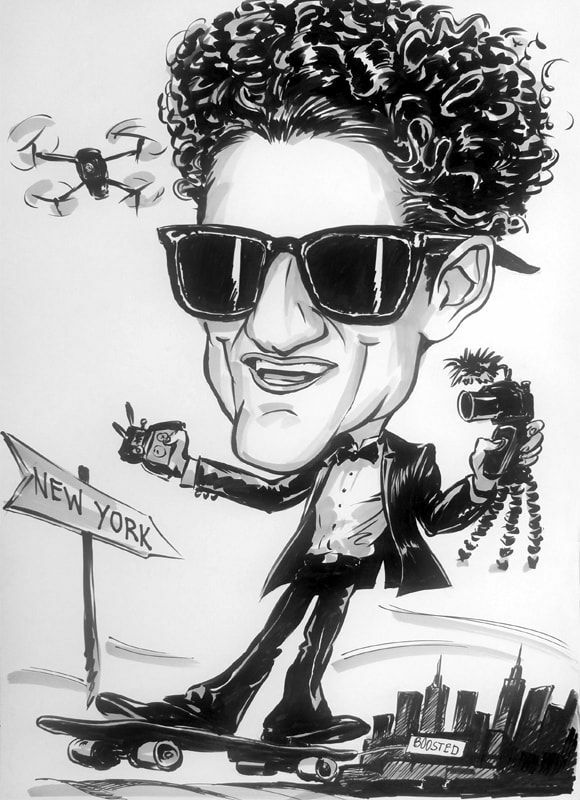 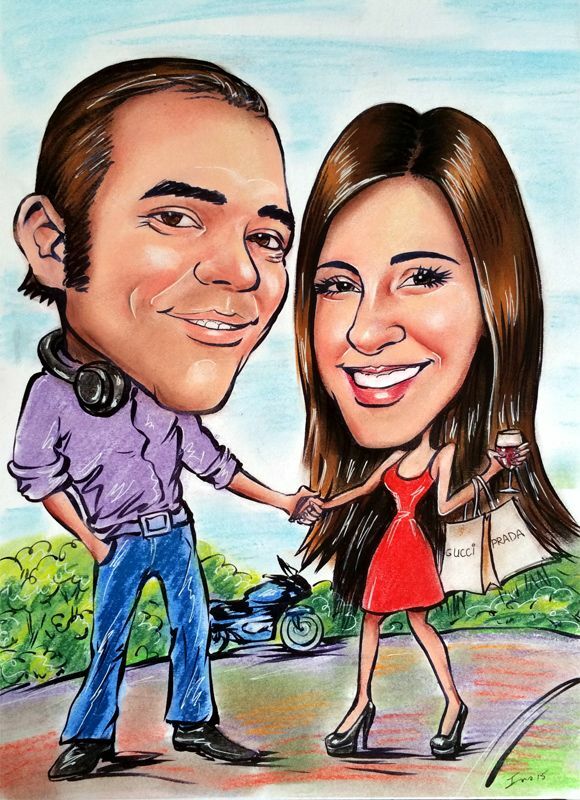 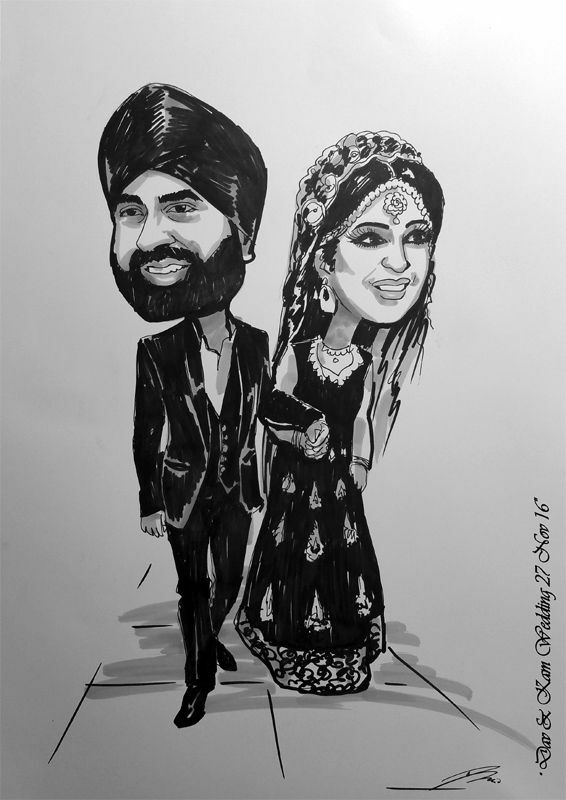 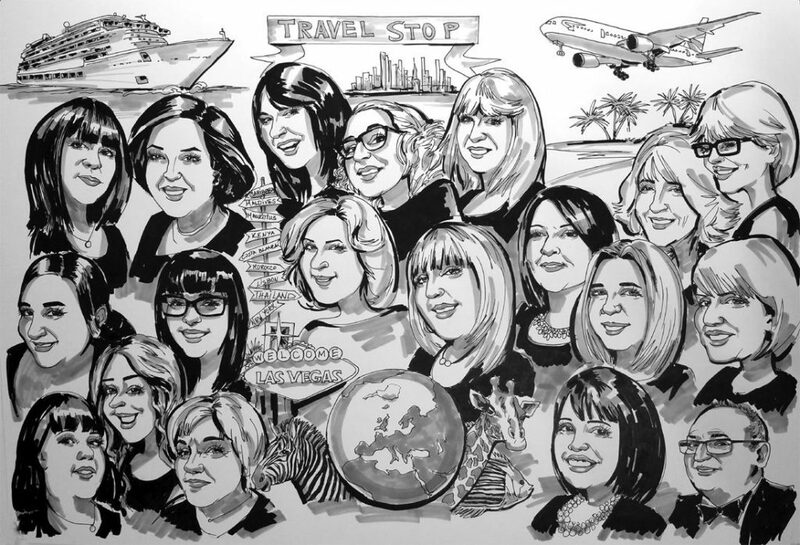 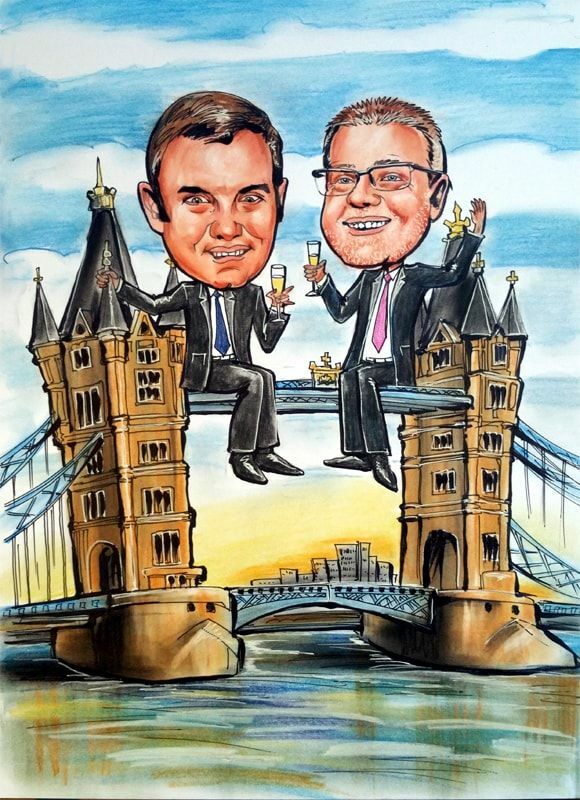 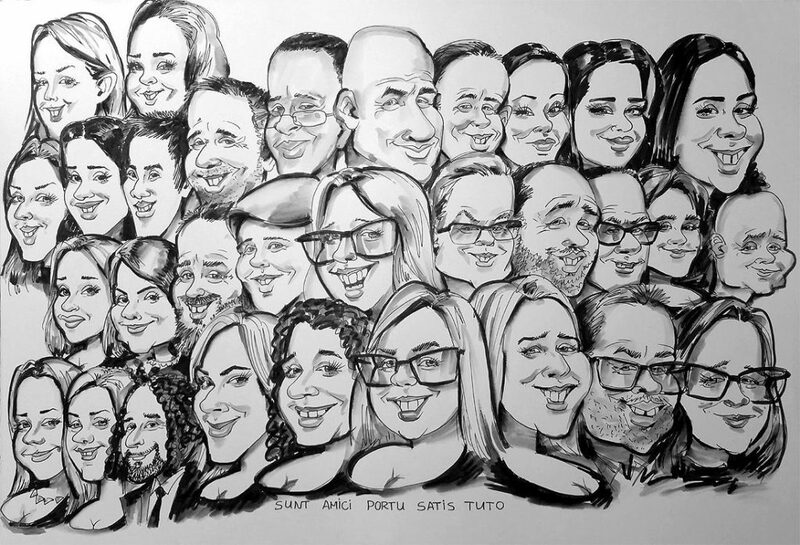 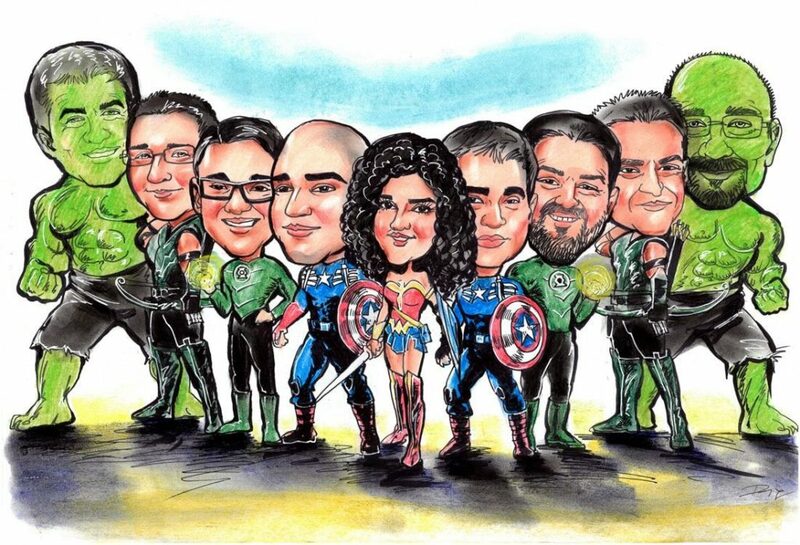 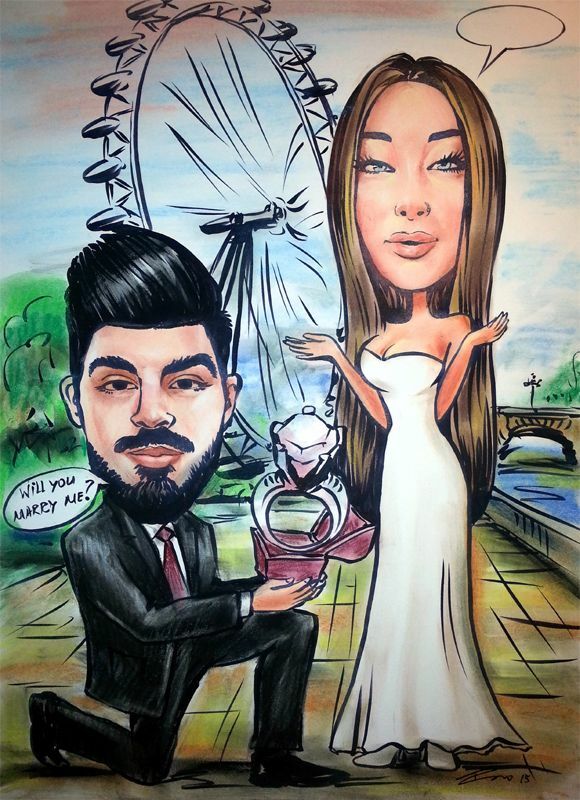 Caricatures from photo are the perfect personalised gift you can give for any occasion. 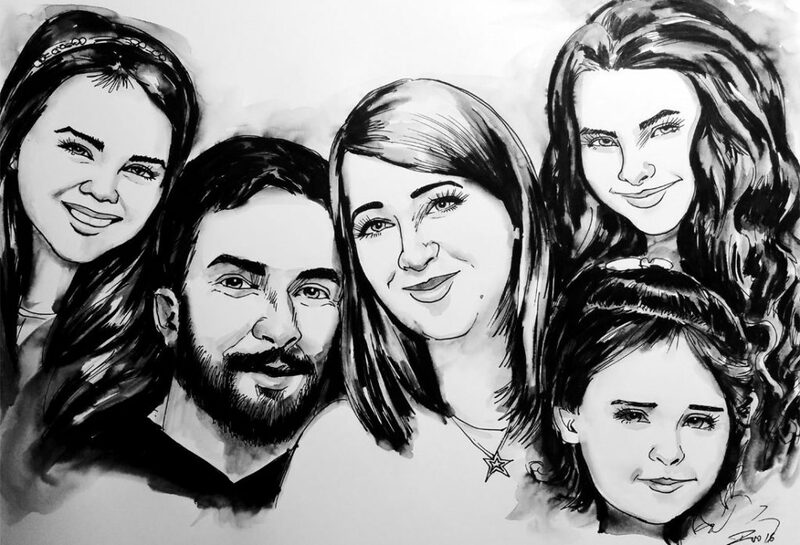 Send the photos of the people’s faces and other things you would like to be incorporated and I will draw you a great caricature of all. 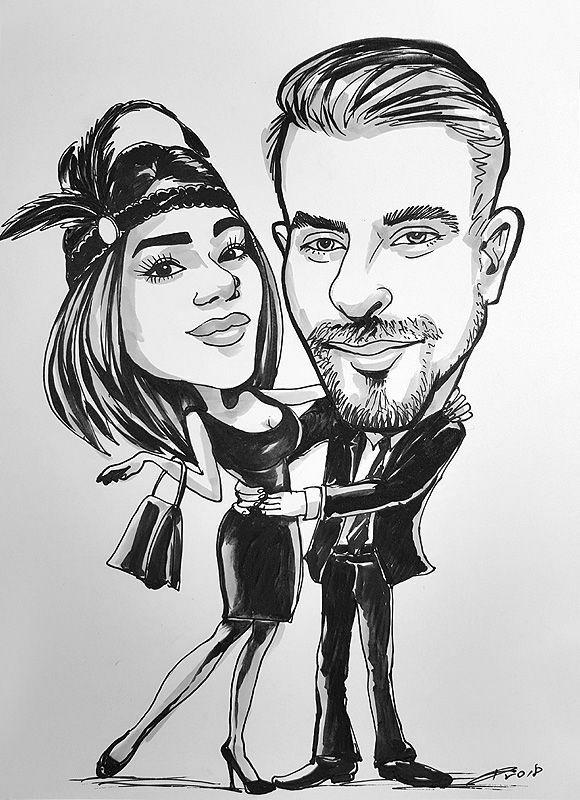 Simply send the photos by email (close face up as possible and clear images are most appreciated) and explain exactly what you wont. 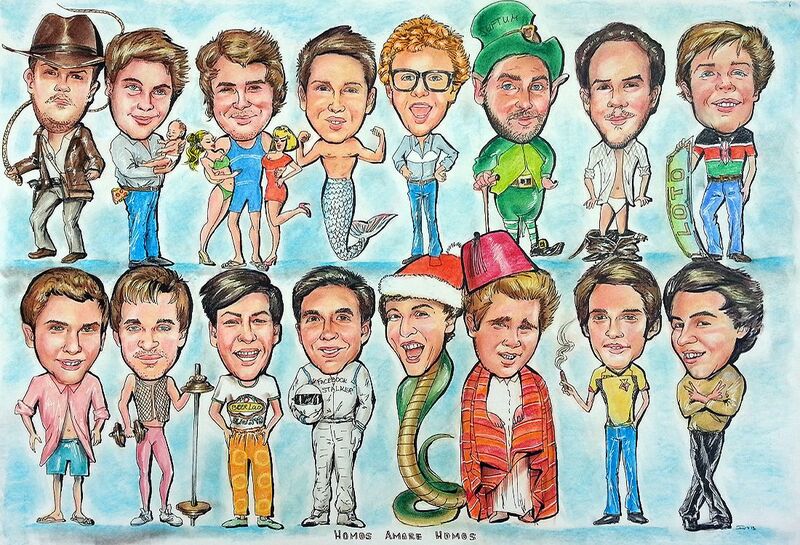 Please let me know if you would like just the head and shoulders or head and small body or head, small body and a theme/hobby. 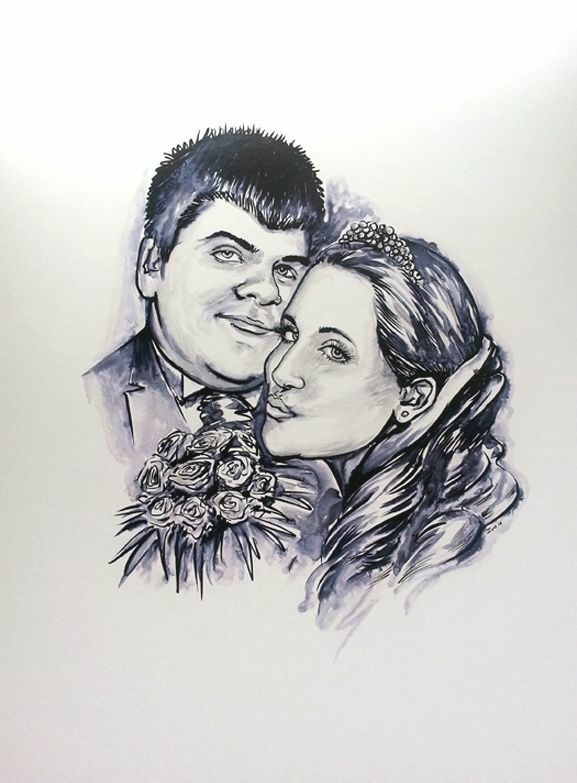 Also what background would you prefer and how would you like to have it in black and white or colour? 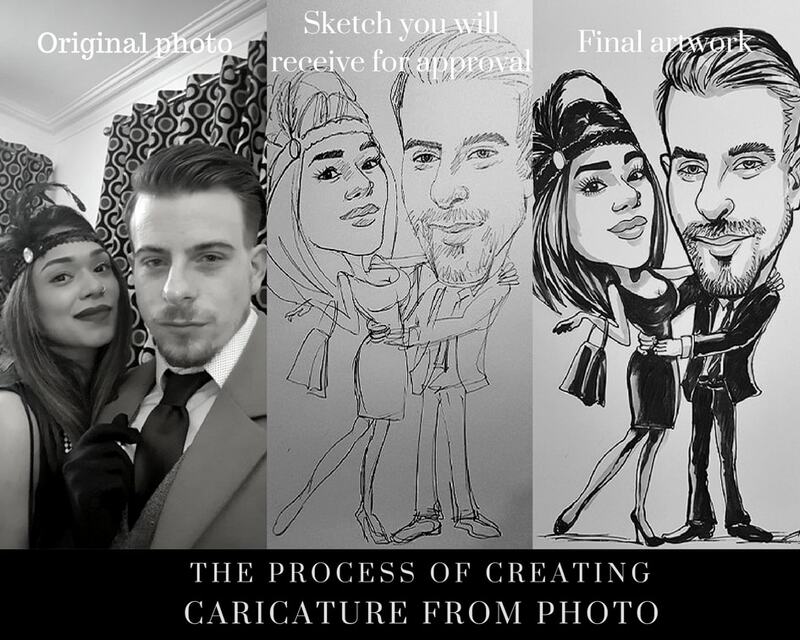 Then I will draw a quick rough sketch and send you a picture of it to approve. 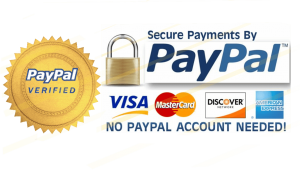 After than you will receive the artwork shortly. 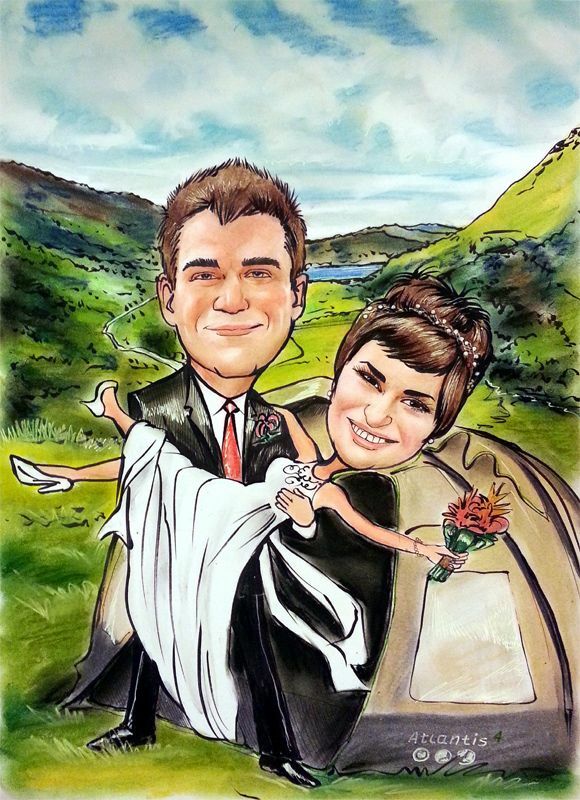 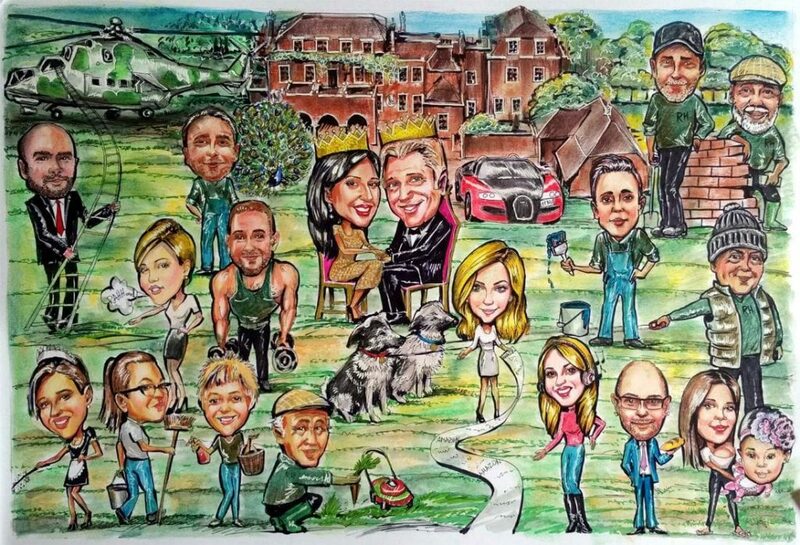 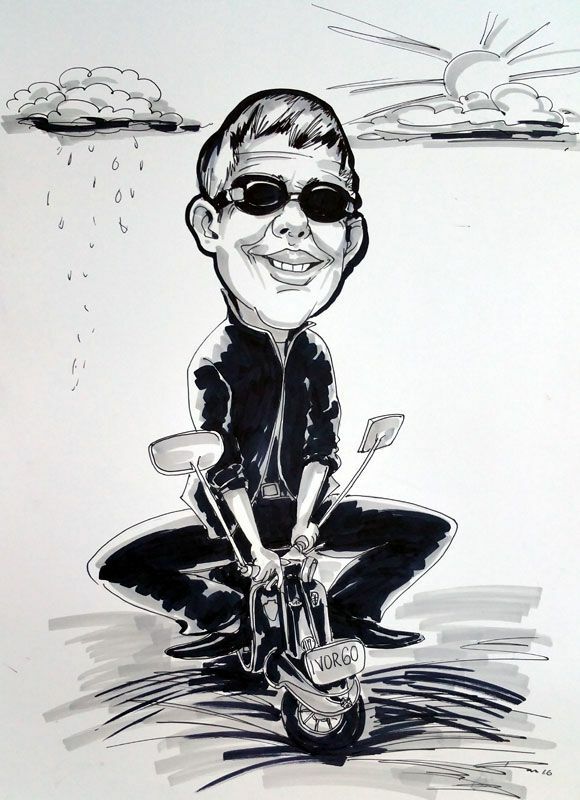 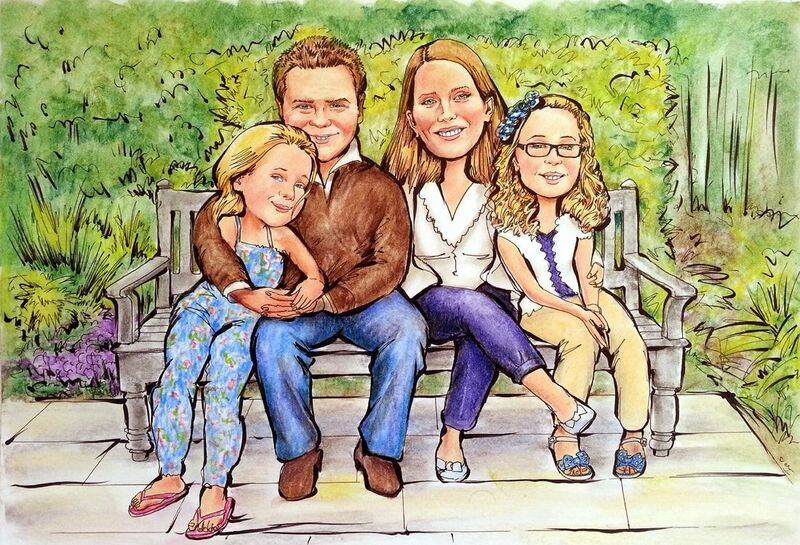 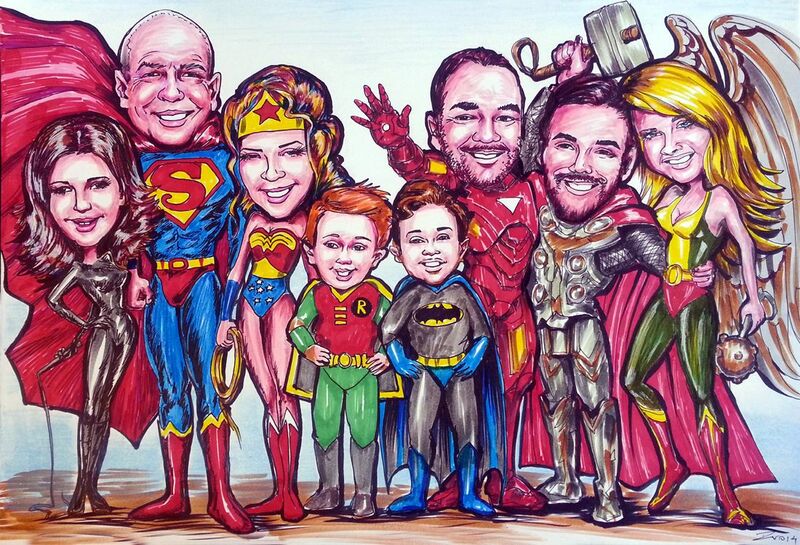 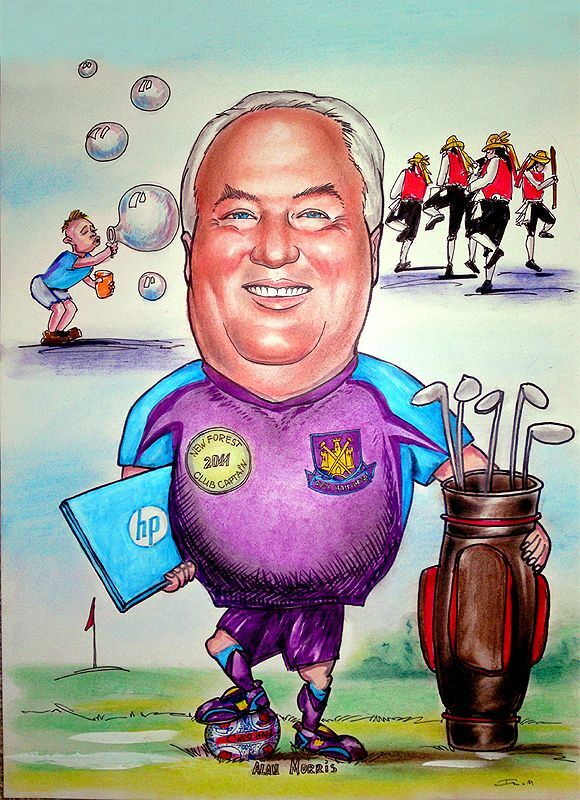 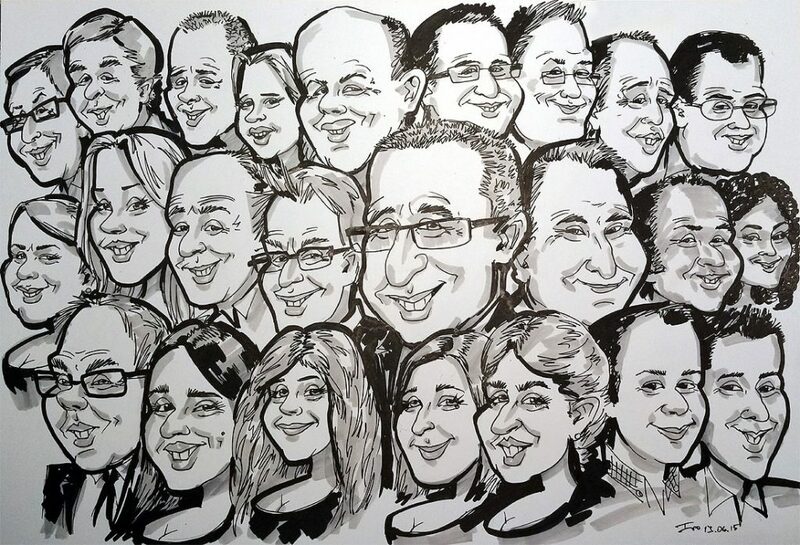 For Couple / Group Caricatures, please add £20.00 per person to the prices quoted above.